Huvafen Fushi by Per Aquum home to the Maldives’ most unique spa, the only underwater spa in the Maldives. Walk along sandy paths lined with lavish palm thatched villas with private pools. 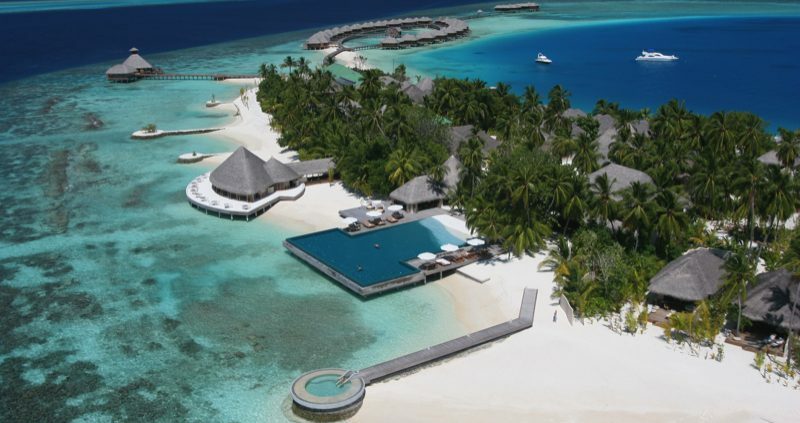 Huvafen Fushi is a 5* luxury resort. 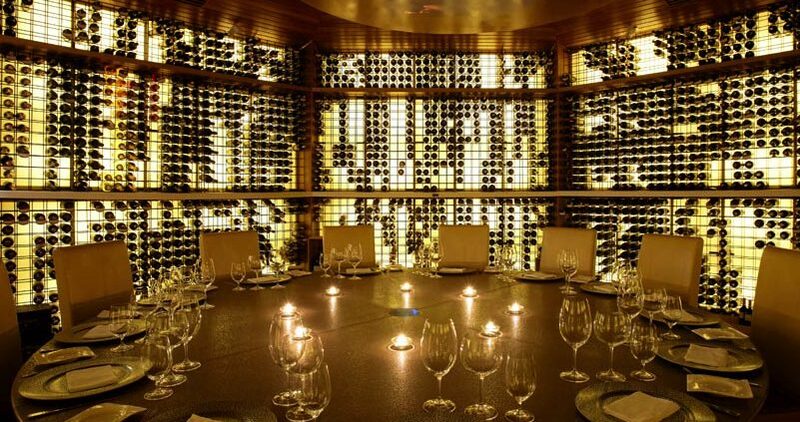 Luxury that dares to be different from the rest. Rejecting lavishness in favour of the avant-garde, it breaks all the rules, challenging belief, doing things with a desire all their own. You get natural fresh interpretation of beach living. 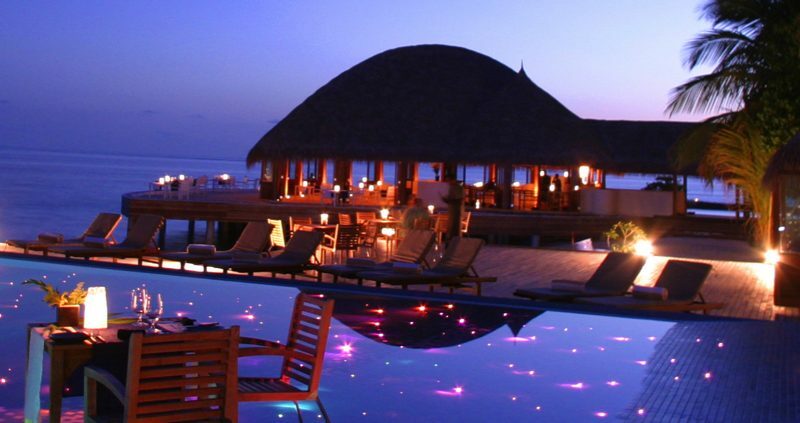 The resort can be found in the North Malé Atoll, approx. 30 minutes by speedboat from Malé airport. 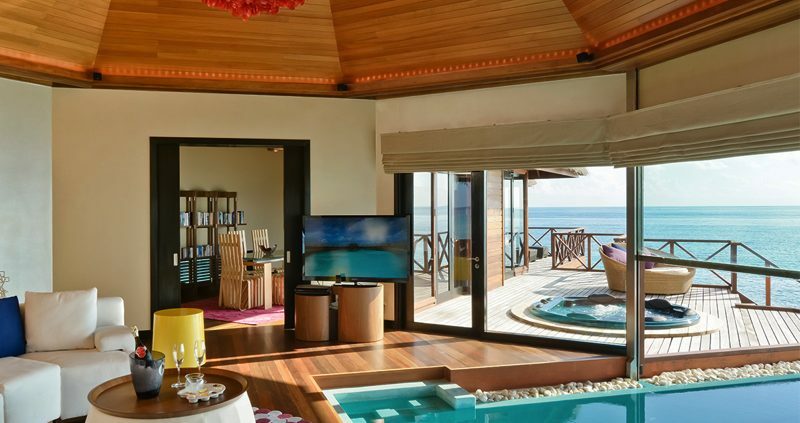 Huvafen Fushi by Per Aquum has 44 flawless and recently refurbished bungalows and pavilions, each has a private plunge pool, air conditioning, ceiling fan, espresso machine, bar, bath and shower, daybed, phone, oversized bed, TV, surround sound, fully loaded iPod and DVD player. Beach Bungalows with Plunge Pool feature a courtyard pool and front deck with daybed. 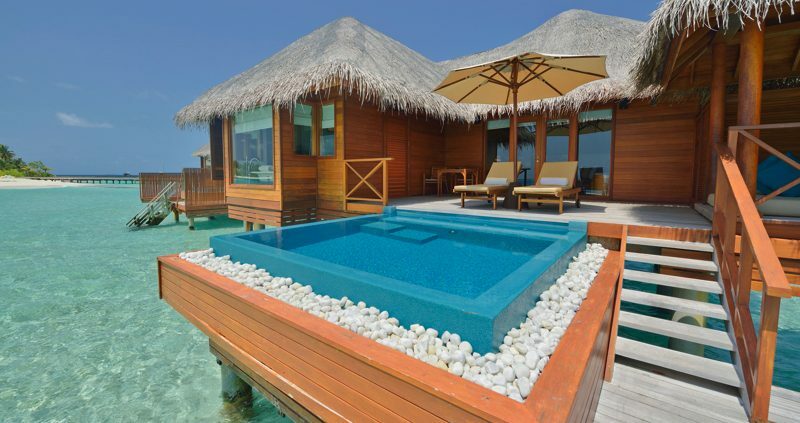 Deluxe Beach Bungalows with Plunge Pool more space and with a second plunge pool. Ocean Bungalows with Plunge Pool are very roomy, with an infinity pool and ocean vistas, large deck, Jacuzzi and separate glass bottom lounge area. Beach and Ocean Pavilions are also available for an even more luxurious stay. 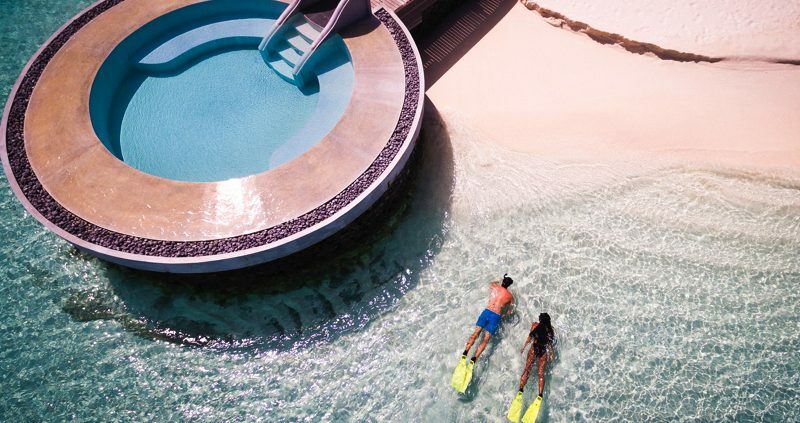 Huvafen Fushi by Per Aquum will keep you thoroughly entertained. Explore exciting dive sites all through the atoll. Sail on a catamaran. Take out a Canoe or view the reef in a glass bottomed boat. If you’re lucky you will see Mantas slip through the water. Take a guided snorkelling trip. Take a sunset cruise, or go fishing. Learn how to dive in the dive centre, or how about taking your diving to the next level with one of our specialty courses, including those with a night diving. Focus on Nitrox, underwater digital photography, deep diver, underwater naturalist, drift diver and don’t forget the wonderful SpaQuarium, Encounter underwater marine life and you’ll see hunting jackfish, lionfish and coral polyps catching plankton. Drink Champagne and snack on fruit skewers while our resident Marine Biologist takes you down to our SpaReef. All this without even getting wet. 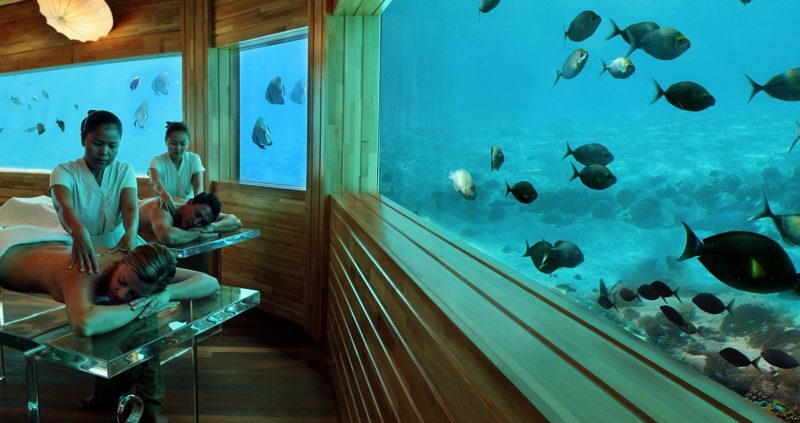 The Lime Spa offers you the chance to try something new and unusual in the Maldives’ first underwater treatment rooms.